Discussion in 'Apple Watch' started by macness, Apr 16, 2015. I know I'm probably looking in to it too much, but.... The square in the centre looks like an Apple TV set top box and the Little squares on the outside look like Apple Watches.. BUT there are little circle ones too... What are the chances we ALREADY get to see an alternative (circle) form factor for the Apple Watch? Well WWDC is a Developer Conference (thats the DC in WWDC ). So, its more likely the squares are iOS Apps and the circles are Apple Watch Apps. It's also worth noting I guess that maybe in iOS 9, they are blending them together and making app icons circular. Probably not, its just worth noting. There is no way they they are already hinting at a second Apple Watch when the first one isn't even out yet. ESPECIALLY since they're having sooo many supply issues, a good chunk of people won't even get their watches until June. Could you imagine getting your watch in the mail on the day of the WWDC, only to see minutes later that a new Watch is announced? The circles most likely represent the Apple Watch Apps, if they represent anything at all. No way they're doing a round watch. At least not anytime in the near future. Definitely thinking it's apple TV, but the rest who knows... it's already been said that apple TV will be the hub (epicenter) of the HomeKit stuff and probably much more. Yay... more stuff to buy. I think we might see the iphone icons turn into circles this time around to make the apps on the apple watch. What he said. Even less than none if it were possible. 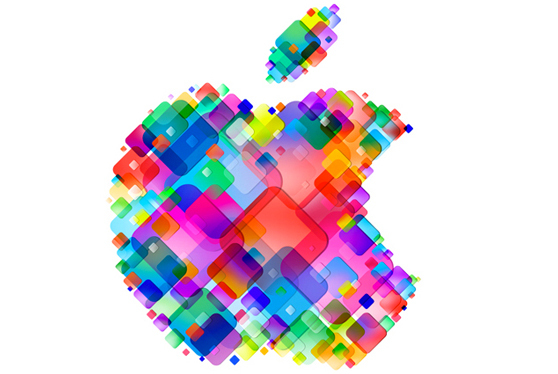 If the big squares are Apple TVs, than what are the big circle? It's just a mess of icons. Like they used to do before. This time there's just a new shape. It's an event about apps. Here's some app icons. "Hey look at all those Apple TVs, iOS icons, airport extremes, and washing machines." I don't understand the desire for a round form factor. Well, it says "change", not "big dollars". I find that encouraging. HomeKit connected washing machines!??!!?? I'm so there! Hell yeah - the hardest part about doing laundry for me is remembering to switch it to the dryer. I would love a notification when the washing machine is finished. What are the chances we ALREADY get to see an alternative (circle) form factor for the Apple Watch? About as good as them announcing they acquired Dunkin Donuts. The squares are iOS apps, the circles are wOS apps. It's really that simple. I don't think anything is representing the Apple TV, but I may be wrong.